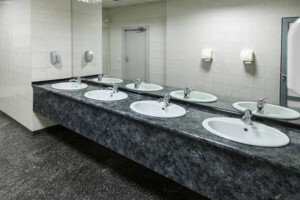 DEFINITIVE PLUMBING & HEATING HAS TOP OF THE LINE COMMERCIAL PLUMBING INSTALLERS IN THE DMV. OUR INSTALLERS ARE HIGHLY TRAINED AND RECRUITED WITH THE ABILITY TO SATISFY ALL YOUR NEEDS FOR NEW CONSTRUCTION PLUMBING. WE RECOMMEND YOU MAKE YOUR FIRST CALL FOR ANY PLUMBING ISSUES TO US. CALL TODAY TO FIND OUT WHY MORE BUSINESS COUNT ON US FOR THEIR COMMERCIAL CONSTRUCTION PLUMBING NEEDS. With our 25 years of experience we strive to make every construction project better than the last. Contact Definitive Plumbing & Heating today at 301-679-5797 for an estimate. Browse the rest of the website to learn more about rehab services, gas piping, and remodeling.